Your normal high quality dwarven RP is briefly being interrupted by Morrighan of Caer Morrighan. Sorry. As part of Blog Azreoth’s Furtive Father Winter 2011, I was assigned Ringo as my ‘secret santa’ recipient. Having read his blog, I wanted to write something that fitted in, but didn’t directly make use of characters that are not mine to write. Perhaps Ringo or Beli were in the Stoutlager Inn that night. Perhaps not. Either way I hope you enjoy a little Winter Veil vignette. A special thanks to my dashing model, Tindal. The fire crackled merrily in the hearth, driving away both cold and darkness, and leaving only a faintly smoky smell. Local legend claimed a gnome had once offered to build a machine that would better extract the smoke from the Stoutlager Inn, keeping the air clearer. The offer had been turned down. In one corner sat a stranger. Unusual enough, on the eve of the feast, he was an odd looking dwarf. He wore robes rarely seen these days, and a faint aura of darkness seemed to surround him. Knowing whispers suggested he was a priest. 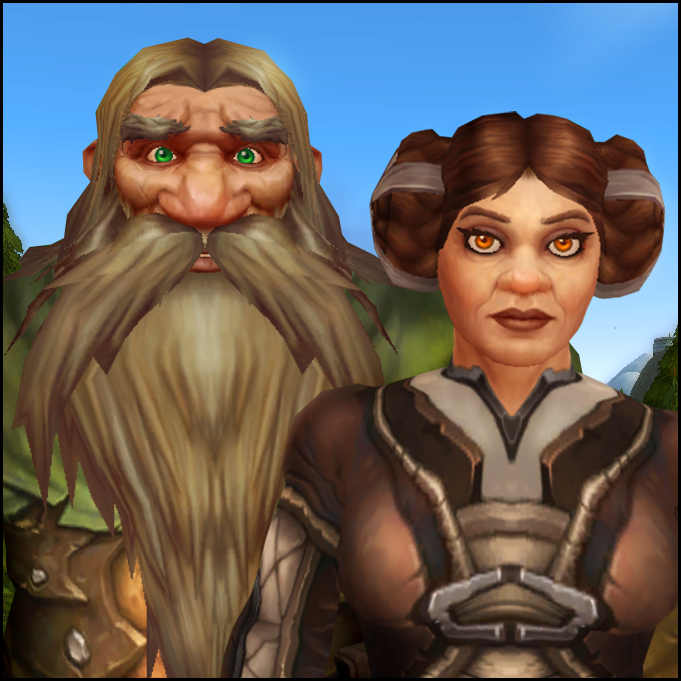 “Have ye trav’lled far?” asked Innkeeper Hearthstove, attempting engage him in conversation. 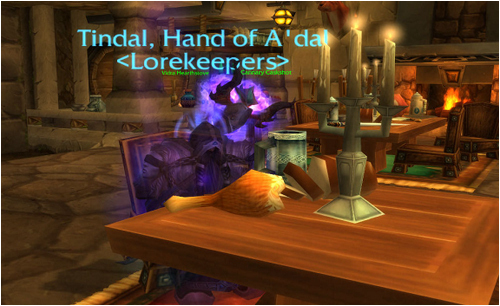 There was a great deal of curiosity as to what brought a priest to inn this night, the evening before Winter Veil. “A ways,” was the reply. “’ere to visit family?” Hearthstove tried again. The patrons of the inn had been furtively listening from the start. At the news they stopped all pretence and all turned to stare. The only other sounds were the thunks and slurps of beer being drunk. The audience nodded in agreement. Perhaps the dark times of the Cataclysm might come to an end soon. And happier times might follow. Despite the fact that all eyes were on him, the stranger said no more. Gradually, the patrons went back to their own conversations. Reminded of the feast tomorrow, the smoky air was pierced with descriptions of food and drink and family plans. Hearthstove shook his head and went to check the casks weren’t getting low. ’twas an odd priest that turned down the chance to yammer to an eager audience, he thought.